Use of antibiotics in the intensive care unit is frequently necessary, many times with some of our most broad spectrum drugs. Here, an experienced critical care clinical pharmacist discusses antimicrobial use and antimicrobial stewardship within the intensive care unit. In June 2016 The Center for Medicare and Medicaid Service proposed new rules mandating Antibiotic Stewardship Programs (ASPs) in Hospitals.2 In April 2016 the Infection Disease Society of America (IDSA) and the Society for Healthcare Epidemiology (SHEA) published guidelines for implementing an ASP.1 While these guidelines provide a global backbone they do not focus on adult patients in the Intensive Care Unit (ICU). In a prospective observational study in 67 ICUs from 32 institutions in the Critical Care Pharmacotherapy Trials Network, half of all empiric antibiotics were continued for at least 72 hours in the absence of adjudicated infections.4 Approximately 60% of empiric antibiotic use was for suspected pneumonia and those ICUs with invasive techniques for diagnosis had lower rates of prolonged empiric antimicrobial therapy (45.1% vs 59.5%, p=0.03). These data demonstrate the need for antimicrobial stewardship in the ICU. Just as the management of critical care patients is best directed by a multi-disciplinary, multi-professional intensivist led team, antimicrobial stewardship efforts should also be multi-disciplinary and multi-professional. At the institution where I work, there are differences in the Medical versus Surgical/Trauma ICU antibiograms specific to susceptibilities for Pseudomonas aeruginosa. Based on these differences the MICU currently utilizes antipseudomonal carbapenems without the requirement of ASP approval while the SICU requires ASP approval. In the previously mentioned study describing prolonged empiric antimicrobial therapy, it is not surprising that the most commonly prescribed antimicrobial regimen in the ICU was piperacillin/tazobactam plus vancomycin.4 This is often a one size fits all “shotgun” option and education with prospective feedback is needed not only to the ICU prescribers but also for the emergency department staff, so that a more narrow spectrum regimen can be selected when possible. In my clinical practice within a surgical ICU (SICU), a clinical ICU pharmacist routinely gives a “Drugs and Bugs” didactic lecture monthly and then conducts prospective feedback on ICU rounds. 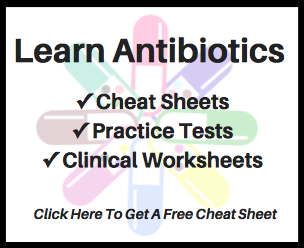 This is meant to assist providers in selecting their initial and subsequent antibiotic regimens. It is common that patients with intraabdominal infections are empirically prescribed piperacillin/tazobactam plus vancomycin. These patients are not at risk for methicillin-resistant Staphylococcus aureus (MRSA) intraabdominal infections at my institution and therefore the vancomycin order is commonly discontinued during ICU rounds. As with antibiotic regimen selection, ICU pharmacists can also help educate others on appropriate duration of treatment. This dual education with feedback helps to both promote antimicrobial stewardship practices and educate house-staff. A principle core of antimicrobial stewardship is antibiotic de-escalation. Due to the complex nature of critically ill patients this is often not possible, especially in the surgical population.1, 4 The presence of a dedicated ICU clinical pharmacist may be able to help improve antibiotic de-escalation. Critically ill patients frequently receive fluid resuscitation. Combine this with changes in physiology that occur due to critical illness and these patients often have an overall increase in total body fluid. The impact of this may be substantial for antibiotics that have a small volume distribution and/or distribute into extracellular space (e.g., aminoglycosides, beta-lactams).8 In turn, larger dosages may be required in ICU patients during this acute phase. Although pharmacists tend to be great about renally adjusting antibiotics for patients with renal insufficiency, critically ill patients with augmented renal clearance may yet need larger antibiotic doses to achieve intended antibacterial effects. This is a particular topic of interest for commonly employed antibiotic piperacillin/tazobactam.9 Evolving data suggest that piperacillin/tazobactam dosages of 4.5 g IV q6h may be required in some patients.9, 10 Note that the expected antimicrobial effect of most beta-lactams should be anticipated to change as infusion durations are modified (e.g., administer over 30 minutes versus 3 or 4 hours). In conclusion, pharmacists are integral to antimicrobial stewardship in the ICU. Both ASPs and ICU clinicians need to collaborate and communicate to ensure rational as well as appropriate antibiotic use in the ICU. Comprehensive, multi-disciplinary, multi-professional strategies with subsequent education of healthcare providers are likely to remain key factors towards optimal management of antimicrobial drugs in the ICU. 1. Barlam TF, Cosgrove SE, Abbo LM, MacDougall C, Schuetz AN, Septimus EJ, et al. Executive Summary: Implementing an Antibiotic Stewardship Program: Guidelines by the Infectious Diseases Society of America and the Society for Healthcare Epidemiology of America. Clin Infect Dis. 2016; 62(10): 1197-202. 2. CMS Issues Proposed Rule that Prohibits Discrimination, Reduces Hospital-Acquired Conditions, and Promotes Antibiotic Stewardship in Hospitals. June 2016. 3. Vincent JL, Rello J, Marshall J, Silva E, Anzueto A, Martin CD, et al. International study of the prevalence and outcomes of infection in intensive care units. JAMA . 2009; 302(21): 2323-9. 4. Thomas Z, Bandali F, Sankaranarayanan J, Reardon T, Olsen KM. A Multicenter Evaluation of Prolonged Empiric Antibiotic Therapy in Adult ICUs in the United States. Crit Care Med. 2015; 43(12): 2527-34. 5. Kalil AC, Metersky ML, Klompas M, Muscedere J, Sweeney DA, Palmer LB, et al. Management of Adults With Hospital-acquired and Ventilator-associated Pneumonia: 2016 Clinical Practice Guidelines by the Infectious Diseases Society of America and the American Thoracic Society. Clin Infect Dis. 2016. 6. Heenen S, Jacobs F, Vincent JL. Antibiotic strategies in severe nosocomial sepsis: why do we not de-escalate more often? Cait Care Med. 2012; 40(5): 1404-9. 7. Elofson KA, Forbes RC, Gerlach AT. Can enteral antibiotics be used to treat pneumonia in the surgical intensive care unit? A clinical outcomes and cost comparison. Int J Crit Illn Inj Sci. 2015; 5(3): 149-54. 8. Gerlach AT SL. Practical Pharmacokinetics and Pharmacodynamics. In: Martin NM KL, editor. Principles of Adult Surgical Crtical Care Springer; 2016. 9. Akers KS, Niece KL, Chung KK, Cannon JW, Cota JM, Murray CK. Modified Augmented Renal Clearance score predicts rapid piperacillin and tazobactam clearance in critically ill surgery and trauma patients. J Trauma Acute Care Surg. 2014; 77(3 Suppl 2): S163-70. 10. Zander J, Dobbeler G, Nagel D, Scharf C, Huseyn-Zada M, Jung J, et al. Variability of piperacillin concentrations in relation to tazobactam concentrations in critically ill patients. Int J Of Antimicrob Agents. 2016.